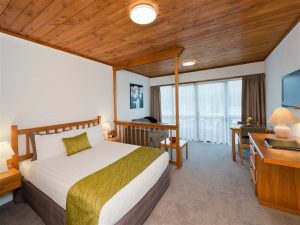 A unique opportunity to purchase a beautifully presented Freehold Going Concern motel in Central Paihia. Situated almost on the waterfront and 5 minutes from the hive of activity of the Bay of Islands you wil feel like you are on holiday all year around. This business has been easily run by the current owners for more than 10 years. The motel includes a lovely 3 bedroom apartment with fabulous sea views and a 2 bedroom apartment also with seaviews and bush views.